Shaws sinks are not only for use in homes, but are commercially used in laboratories, hospitals, institutions, restaurants, hotels, schools, universities and many other applications. To ensure that they are safe for every environment and being a considerate company, testing of the various ingredients used to manufacture our range of unique sinks is routinely carried out. Our handcrafted fireclay sinks have recently been tested by SteriTouch, an independent laboratory, for an evaluation of antimicrobial performance. 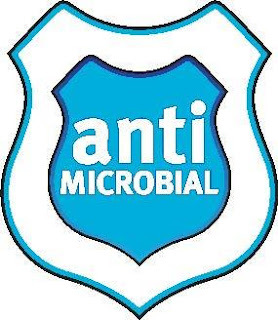 The testing was conducted using the ISO 22196/JIS Z 2801:2000 test method to international standards and all samples proved to be ‘antibacterial’. Shaws glaze reduced bacterial colonies of E-Coli and MRSA by 99.99% over a 24 hour period and were classified as EXCELLENT in this area. Safe to use in every environment. The Shaws glaze, is not new or a new glaze development, or a thin coating, as some other manufacturers use, which can be considered temporary, but is the original glaze we’ve always used and is the regular and permanent performance of our glaze. Other tests are regularly carried out include: Determination of Chemical Resistance (BS 3402: 1969) and Determination of Resistance to Staining and Burning (BS 3402: 1969). In these tests Shaws sinks proved to be completely stainless and resistant to aggressive alkalis, acids and bleach. A durable glaze which will last forever. Shaws are the world’s only producer of heavy duty fireclay, sourced from the West Country and the clay is at least 25% denser and stronger than fine fireclay. Our heavy duty fireclay is responsibly sourced, sustainable, lead-free and 100% recyclable. Our sinks are chip and impact resilient as a heavyweight Shaws Original has 2” thick solid walls giving extra durability. Each sink is twice glazed with up to four times the glaze thickness of other sinks and fired at over 1200ºC. Taking over three weeks to create, Shaws use more clay, more glaze, more heat and more care to craft character products, made by real people. Every Shaws sink is unique and designed to last a lifetime!